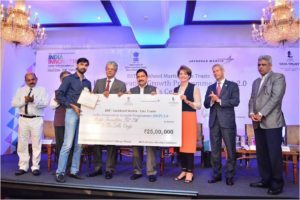 Venture Center incubatee companies Sensivision Health Technologies Pvt Ltd, Periwinkle Technologies Pvt. Ltd, Jeevtronics Pvt. 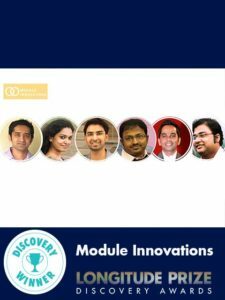 Ltd. and Module Innovations Pvt. 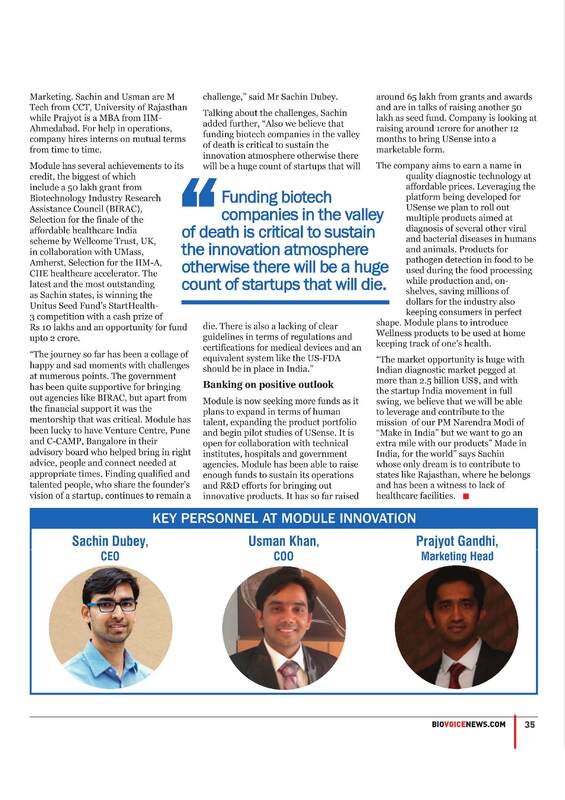 Ltd. won Social Alpha Quest for Healthcare Innovations. Venture Center’s resident incubatee and Lab2Mkt company has been declared one of the winners of Titan’s design Inpact challenge. 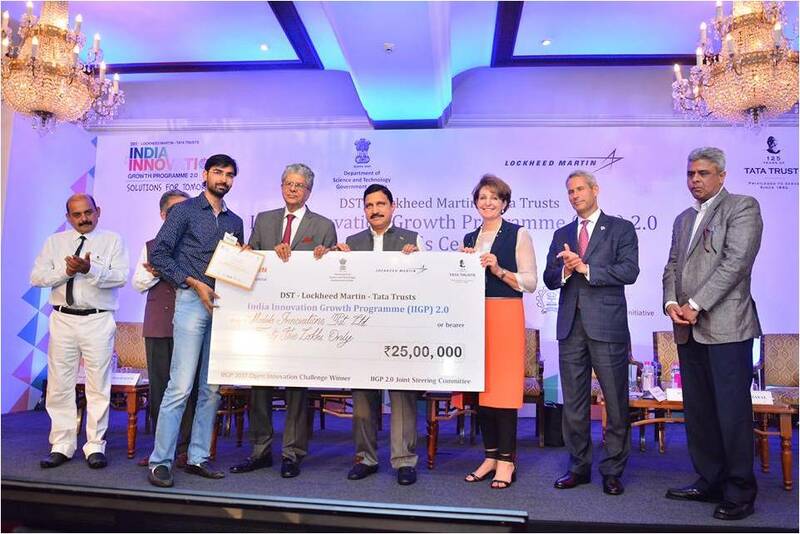 Module Innovations Pvt Ltd-a resident incubatee of Venture Center has won India Innovation Growth Program (IIGP) 2.0. Out of 1300 applications 50 were shortlisted. Among 50, only 10 were awarded a prize of 25 lakhs by Shri YS Chowdhary. 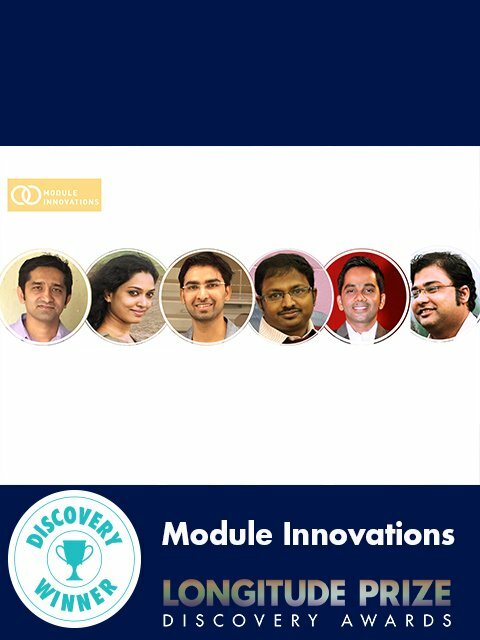 Module Innovation is one of the 10 winners to have won the prize of 25 Lakhs. 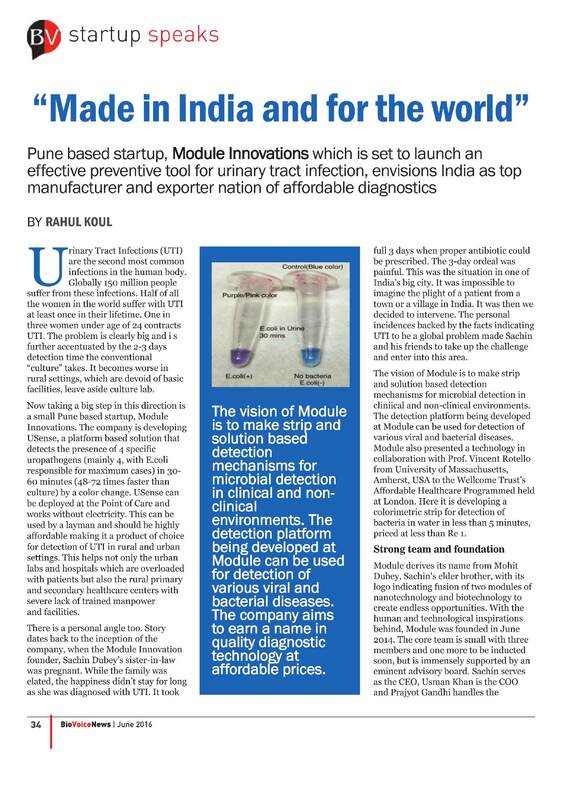 Venture Center’s resident incubatee “Module Innovations Pvt Ltd” was covered by BioVoice magazine in their Issue 2 Volume 1 – Page 34. 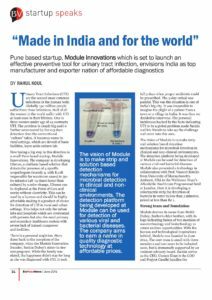 About Module Innovations: A young and innovative startup developing affordable and innovative diagnostic devices for rapid microbial detection in clinical and non-clinical samples. UTI or Urinary Tract Infections are the 2nd largest infection in the human body. 1 in 3 women under 24 contracts a UTI. More..
About BioVoice: BioVoice isa complete journalistic package, that delivers news through its 24*7 live digital newspaper, quarterly digital magazine and App. From latest updates to deep insights, there is end to end coverage of issues that matter most. Be it the exclusive interviews or coverage of events that bring to you the live news pieces as well as the audio-visuals, BioVoice strive to accelerate the communication on happenings in the industry. 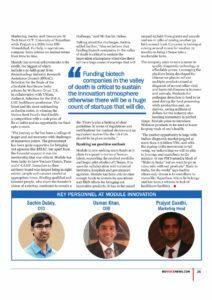 This vibrant media platform connects various dots thereby filling the existing gaps that have been limiting the options for reaching out within the bioscience industry.